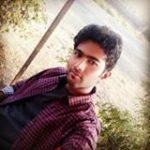 Global Market Insights, Inc. adds new Europe Air Source Heat Pump Market report which provides in-depth information about Industry overview, top vendors, Key market highlights, product types, drivers, challenges, trends, industry landscape, size and forecast. 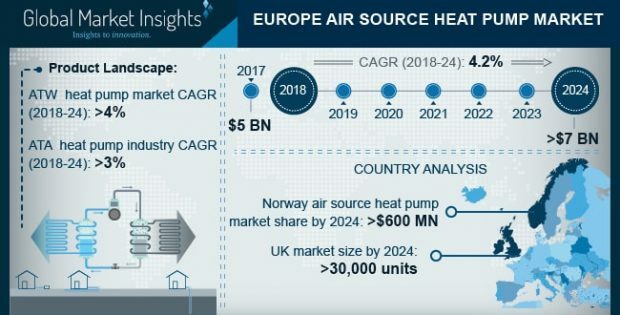 Europe Air Source Heat Pump Market size will surpass USD 7 Billion by 2024.Eecalating demand for hot water and space heating across cold regions coupled with shifting trends toward installation of high efficiency heating systems will propel Europe air source heat pump market growth. Furthermore, the government initiatives encouraging modernization and renovation of existing infrastructures along with financial aid for construction of minimum energy requirement buildings will enhance the business growth. For instance, in 2018, the European Investment Bank approved funds of approx. USD 115 million in support for construction of zero energy buildings.